Recent news, spread by the web: Students in Finnish primary schools, from autumn 2016, will no longer learn cursive handwriting, instead they will learn to use keyboards, during the entire course of study. It is one of those reports that many of us, who were students in the twentieth century, find shocking. We have always known that Finland, the nation promoting this initiative, is a commendable example, along with its “nordic cousins” Sweden and Norway, of social assistance policies, culture and education. But what is the context that is driving this change? Let’s analyze this conversion to digital and try to understand what is behind this “social and cultural change”. It is clear that the advent of email, certified mail, and institutional services on line is rapidly reducing the use of paper in our daily lives. Official communications are increasingly “virtual“. Some leading international companies appear to have effectively prohibited from bringing any paper document outside the building business. A small number of companies, anticipating the change, have prohibited printing any type of document. If you violate this rule you will be fired. This type of decision, which affects our daily lives, accelerates the process of virtualization / digitization of our work places making handwriting, for those of us who were students in the twentieth century and are now active workers, not only optional but “not welcome” from a business perspective. In our daily lives tools such as smartphones and tablets, that enable us to communicate via a virtual keyboard, allow us to instantly share our content and our personal opinions. At the same time tablets and e-readers are progressively encouraging the increase in the number of “digital readers” of online newspapers, magazines and books. From the technological point of view also the cloud, understood as a group of virtual services and virtual spaces always available to the user, encourages the transposition of our personal material, documents, images, video, into the digital world (there is no paper equivalent for the “cloud” !!!). A confirmation of the topicality of the phenomenon we are talking about: the shift from handwriting (and paper) to digital media, the text in one of the latest hits of the Italian singer Giusy Ferreri reads: “I wanted to write you a letter though by now we do so rarely” (“Avrei voluto scriverti una lettera anche se ormai si usa poco” ). Despite these obvious facts the news about handwriting has upset us a lot. Taking our cue from the news again and collect initial reflection of Susanna Huhta, who is a member of the “Association of Native Language Teachers”. She states that handwriting helps children develop fine motor skills and brain function, and therefore, the writing lessons should be replaced with alternative activities which develop the same skills such as handicrafting and drawings. The next “digital” generation will be interconnected. 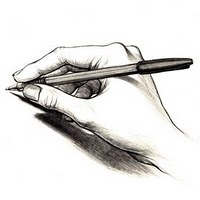 It will have a network of virtual instruments and digital content always available, tools that undoubtedly facilitate its life and its way of communicating, but at the same time, its individuals will not experience the intimate and unique pleasure of writing a love letter or crafting poem with their own hands. ← Facebook a social tool for older people?